February 2019 update. Upper class. 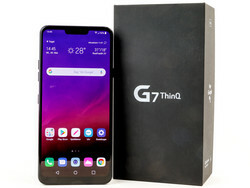 Up until a few years ago, high-end smartphones were usually in the price range of between 500 and 600 USD/Euros, but this segment is now occupied by upper class models and older high-end smartphones. The latter might not be new anymore, but are still good alternatives. 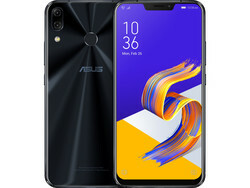 Upper-class smartphones are located in the price range of between mainstream and high-end models and are targeted towards users who are not willing to pay more than 700 Euros (~$870) for an expensive high-end phone, but still want good performance, good cameras, and nice build quality. Here you will find a Top 10 ranking of smartphones under 500 Euros (~$620), which have been reviewed by Notebookcheck within the last 24 months. The market is constantly changing, so we are also looking forward to getting tips about good deals and other notes in the comments. You can sort the table by clicking the headers or via text filter (e.g. "Kirin"). 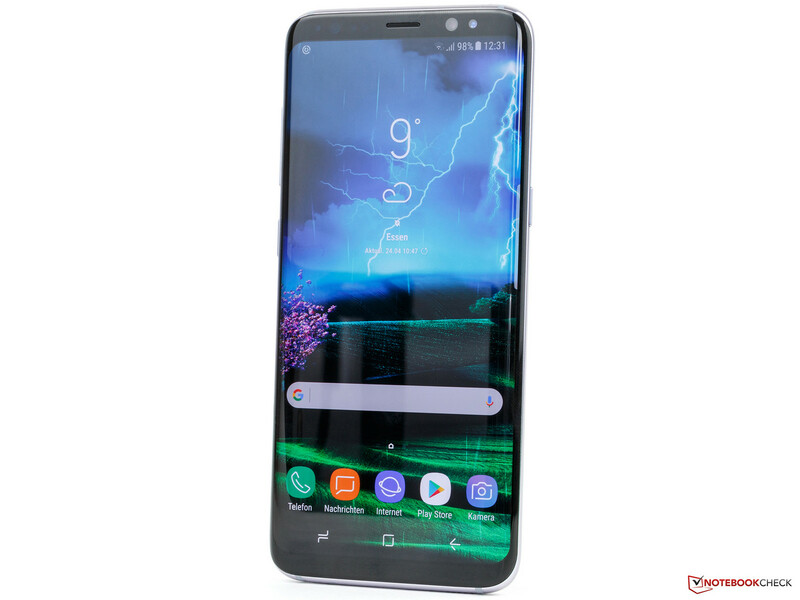 There are no newcomers this month but Samsung's Galaxy S9 is slowly dropping in price and can sometimes be had for less than 500 Euros already. The price of the Samsung Galaxy S8 dropped significantly. The original RRP was 799 Euros, but you can now get it for less than 500 Euros since the successor is available. You get a fast SoC, 4 GB RAM, and 64 GB UFS 2.1 storage, which is a powerful package for the high-end product. The displays were once again improved while the bezels are slimmer. Samsung also uses the 2.06:1 aspect ratio for the S8, so the diagonal size can grow without the need for a wider device. This is also the only significant difference between the two models. 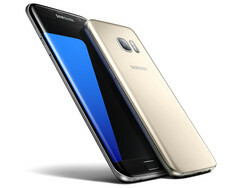 The Galaxy S8 uses a 5.8-inch Super-AMOLED panel and the S8+ a 6.2-inch screen. The battery capacities differ as well, but the S8+ cannot benefit from the additional juice during our tests. Still, the S8-series offers a great set of features: LTE Cat. 16, Bluetooth 5.0, storage expansion via microSD, IP68 certification, USB 3.1 with DisplayPort support, fingerprint and Iris scanner, as well as many more. We did find some drawbacks like the bad position of the fingerprint scanner on the Plus model and the long-term construction site Bixby. The main camera is also identical to the predecessor. So if you want to save some money without making compromises on the camera quality, you can just get the Galaxy S7 Edge or Galaxy S7. The latter is even the only alternative if you prefer a display without an Edge-display. 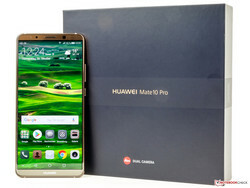 Bigger is better for the Huawei Mate 10 Pro: The 6-inch phablet comes with Huawei's most powerful high-end SoC, 6 GB of RAM as well as 128 GB internal storage. It is also the first device of its kind with dual-VoLTE and LTE Cat. 18. 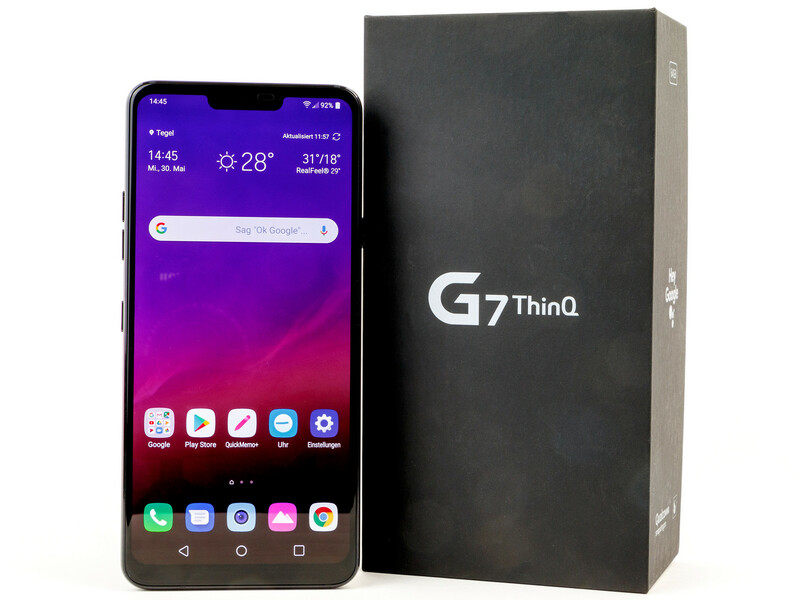 It is shipped with the current Android 8.0 Oreo and offers a full list of features worthy of a high-end smartphone, including a 4000 mAh battery as well as IP67 certification. The panel resolution falls a bit short and you cannot expand the storage via microSD. There is no stereo jack, either, and Bluetooth 4.2 is not the latest version, but you can stream high-resolution audio files via aptX HD. 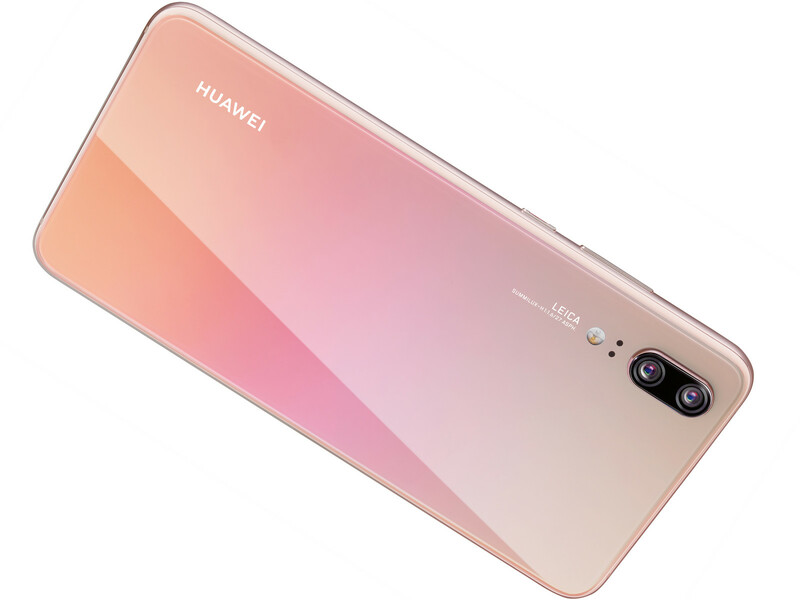 Unlike the Pro version, the Huawei P20 offers a dual-camera and is not protected against dust and water. We like the unusual color choices, which are even more versatile compared to the Pro. 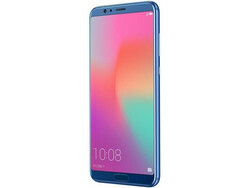 Huawei changed quite a lot for the current P-series and now uses large displays and powerful batteries, and it is also the first P-series smartphone with a protruding rear camera. 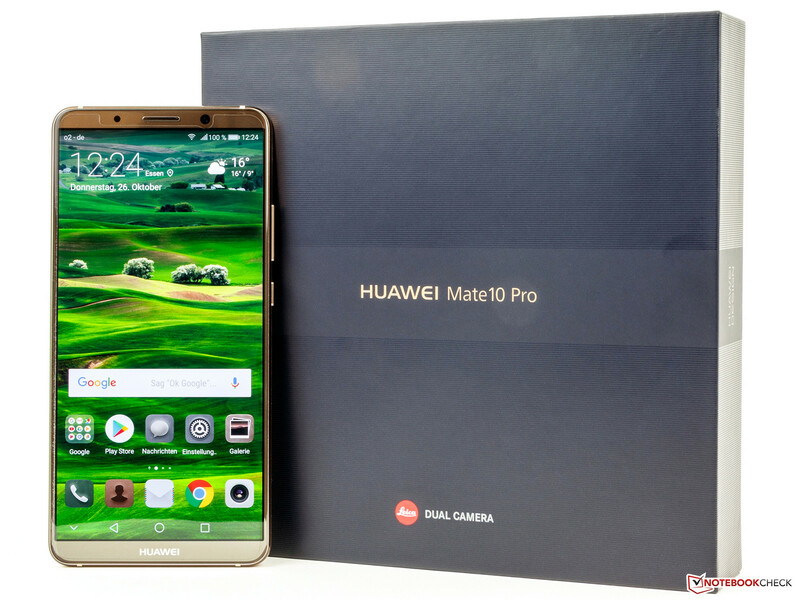 The specs are very similar to the Mate 10 Pro, but Huawei uses a Natural Tone display for the first time, which automatically adapts to the ambient light. You also get MIMO Wi-Fi technology for very high transfer rates, even though it was not very steady during our review. 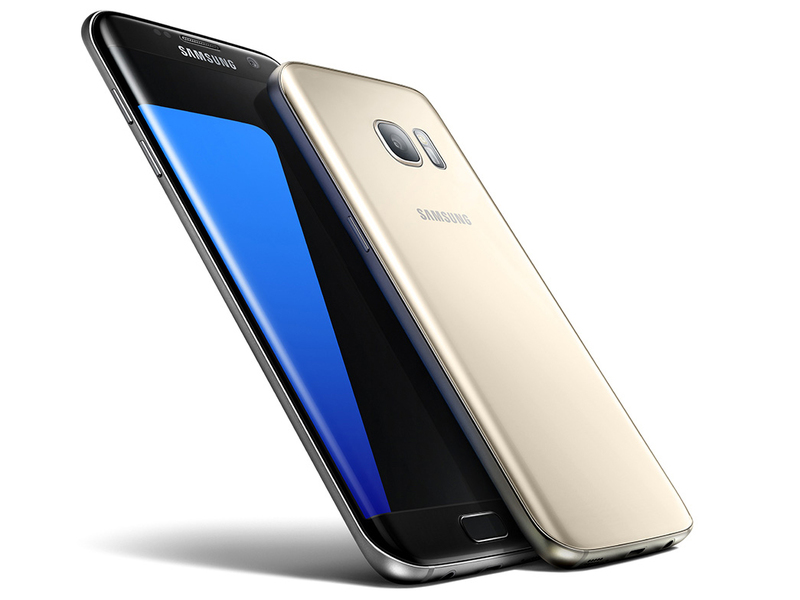 The Samsung Galaxy S7 is still a very powerful smartphone with decent memory equipment (4 GB of RAM and 32 GB of internal storage). The Super AMOLED display is comparatively small at 5.1 inches, but features a very high pixel density due to the high resolution. 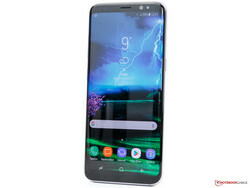 It is Samsung's last high-end smartphone without curved display edges, which has some advantages in terms of handling. The chassis is also dust and water resistant. The sensor equipment is exemplary and is completed by a very accurate GPS module. The smartphone unfortunately does not feature a USB Type-C port, but it supports wireless charging and it is VR-ready. The camera is still excellent and hardly differs from the newer Galaxy S8. Samsung has already distributed the update to Android 7.1 Nougat last year, another one to Oreo is supposed to follow. With the iPhone SE, Apple has ventured to create a powerful new edition of the iPhone 5s and put the big iPhone's up-to-date hardware into an extremely compact case. The user does not have to accept compromises in performance or features here, since the iPhone SE also uses the powerful Apple A9-SoC. Among others, the smartphone could impress with a high-end chassis, a great GPS receiver, good battery runtimes and a display with precise colors in our test. However, the latter has quite a high black value. Moreover, the NFC chip remains reserved for Apple Pay as in other Apple products. The only disadvantage of the device is that there is only a 16 GB and a 64 GB variant. The current iOS 11 is available for the smartphone. 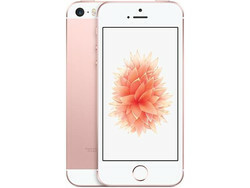 If you prefer a bigger iPhone for less than 500 Euros, you should have a look at the iPhone 6s. 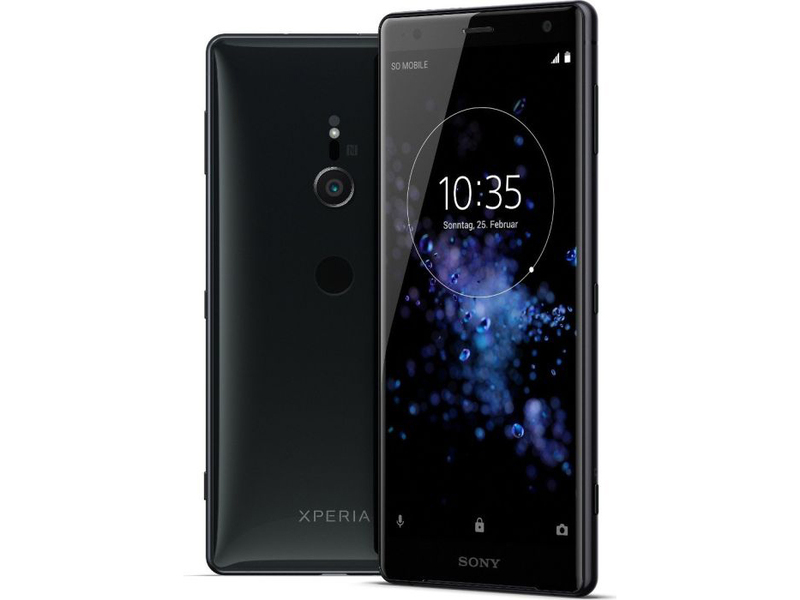 Sony's Xperia XZ2 is one of the first smartphones from the Japanese manufacturer with a 2:1 aspect ratio screen. It also waives the traditional and slightly angular design. 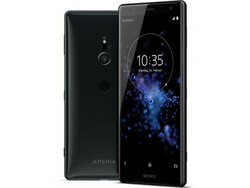 The specs of the Sony smartphone are very good. You get a 5.7-inch panel with the FHD+ resolution, which is sufficient, as well as HDR support. The modern Snapdragon 845 provides plenty of power. The internal storage can be expanded via microSD card. We are once again convinced by the battery runtime as well as the camera, and did not lose the water and dust resistance. Only the speaker quality could be improved in our opinion. 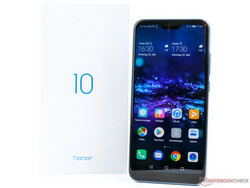 The Honor 10 is a really good smartphone. It has a good and bright IPS display, which is pretty big, but not as gigantic compared to many of its rivals. The resolution of 2280 x 1080 pixels ensures a crisp picture. You also get a good camera, long battery runtimes, and a fast smartphone. Neither the system performance nor the design or the haptics suggest this is a device for "just" 400 Euros. We also liked the strong GPS performance, but there are some drawbacks as well. Despite the Kirin 970 SoC, you only get LTE Cat. 13 and the storage expansion via microSD was removed. We also noticed some overheating problems under sustained workloads. 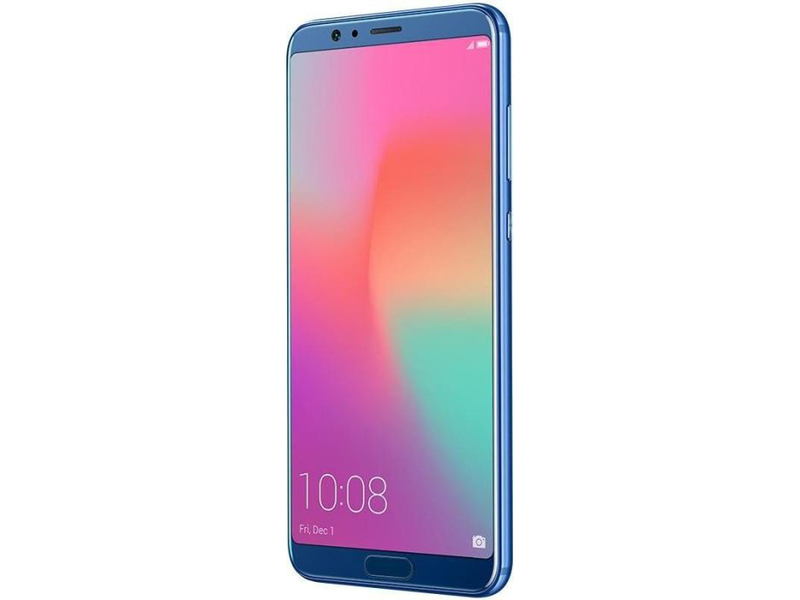 The Honor View 10 is the biggest and most expensive from Huawei's subsidiary so far and offers some features otherwise reserved for the much more expensive Mate 10 Pro. Among others, this includes LTE Cat. 18 as well as dual-VoLTE. The View 10 is powered by a real high-end SoC in combination with 6 GB RAM as well as 128 GB internal UFS 2.1 storage, which can also be expanded via microSD card. Honor also still implements a stereo jack. Bluetooth is limited to the 4.2 standard, but you get aptX for high-resolution audio streaming in return. We also liked the battery and the camera in our review. The occasional overheating issues were less convincing, but they only occur when you really stress the components. The WLAN module is also comparatively slow and the location performance could be better. 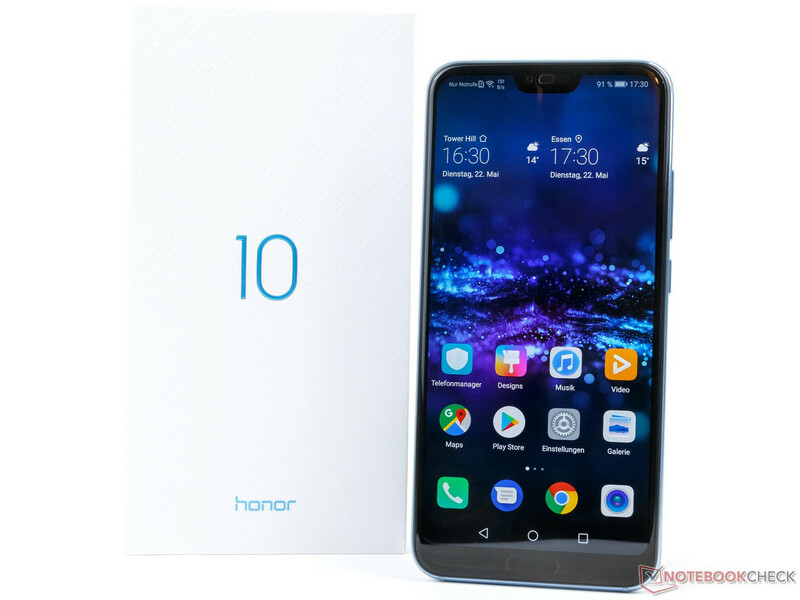 Still, the Honor View 10 offers a strong overall package for an RRP of 499 Euros.